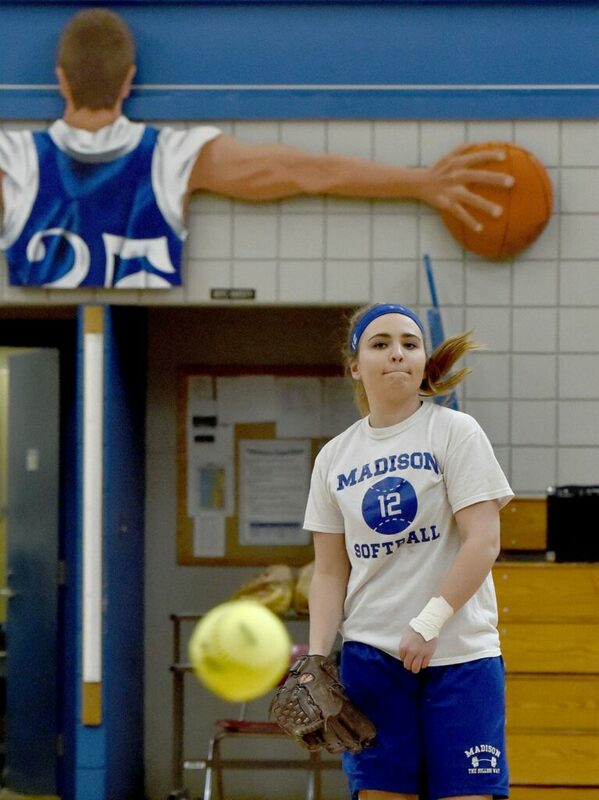 Madison pitcher Landyn Landry throws Monday in the school's gym, the first day pitchers and catchers could practice. 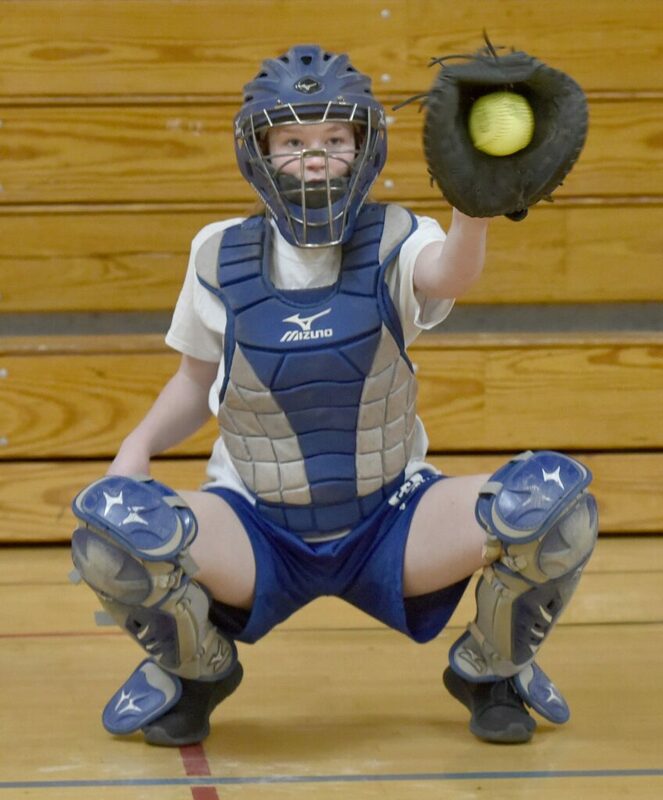 Madison catcher Katie Worthen hauls in a pitch Monday in the school's gym, the first day pitchers and catchers could practice. 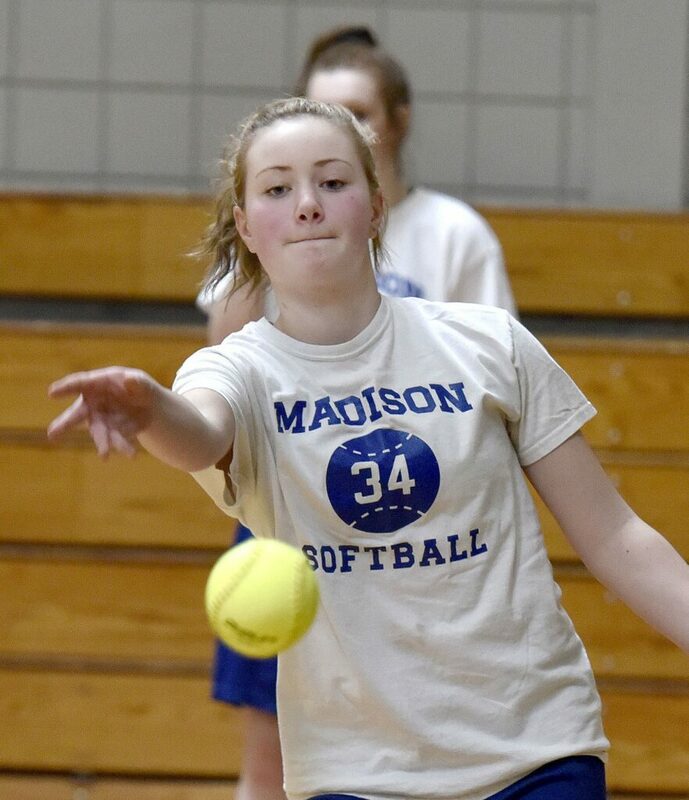 Madison pitcher Lauria LeBlanc throws a pitch Monday in the school's gym, the first day pitchers and catchers could practice. 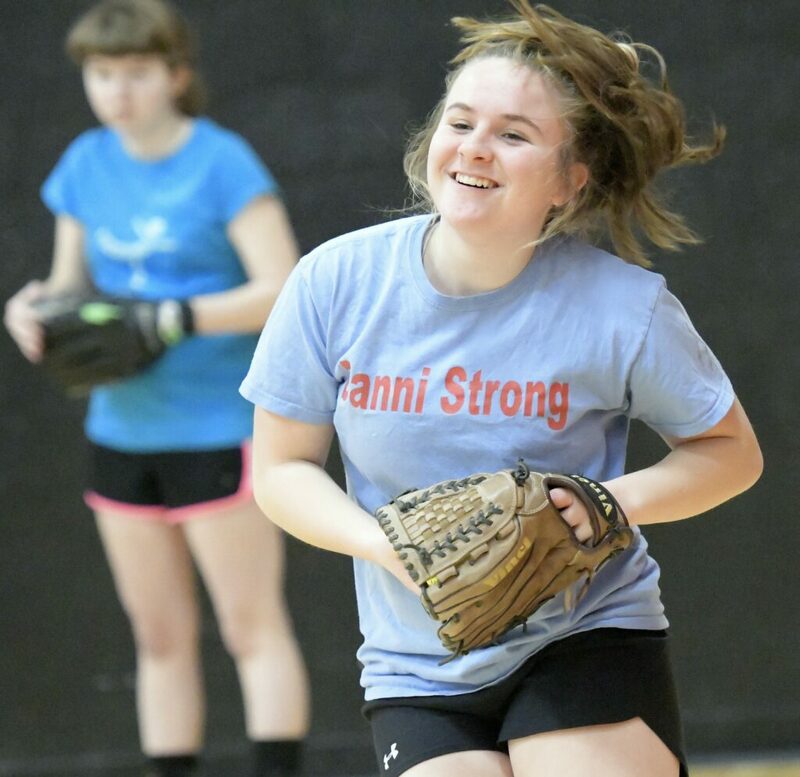 Hall-Dale pitcher Emma Soule gets in some work Monday in the school's gym, the first day pitchers and catchers could practice. 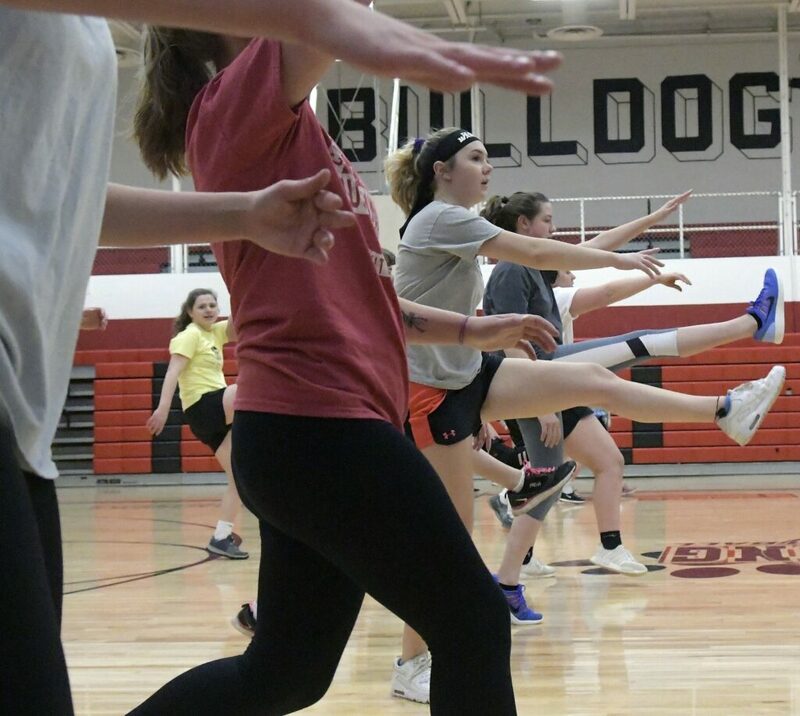 Hall-Dale High School softball players stretch Monday in the school's gym, the first day pitchers and catchers could practice. 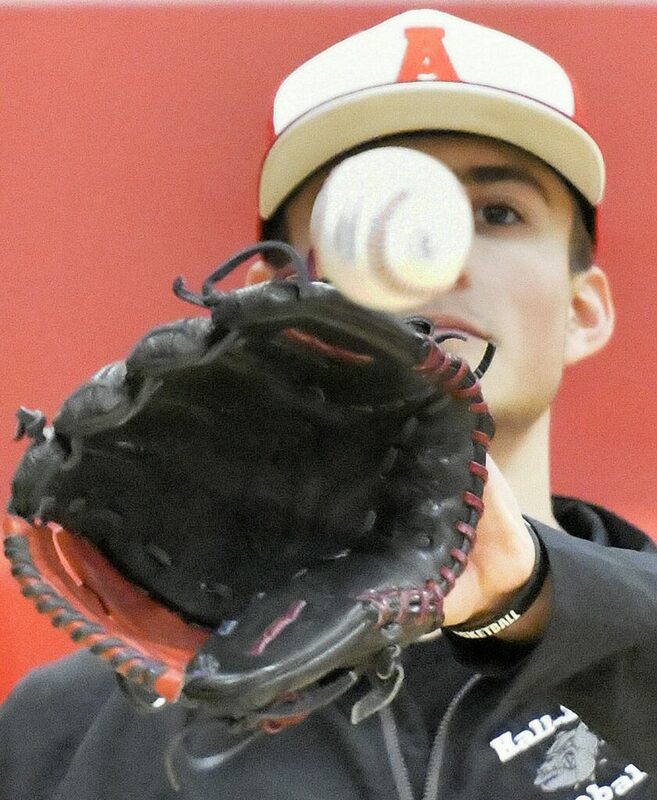 Hall-Dale's Austin Stebbins prepares to catch the ball Monday in the school's gym, the first day pitchers and catchers could practice. Hall-Dale High School pitchers and catchers knock knuckles Monday in the school's gym, the first day pitchers and catchers could practice. 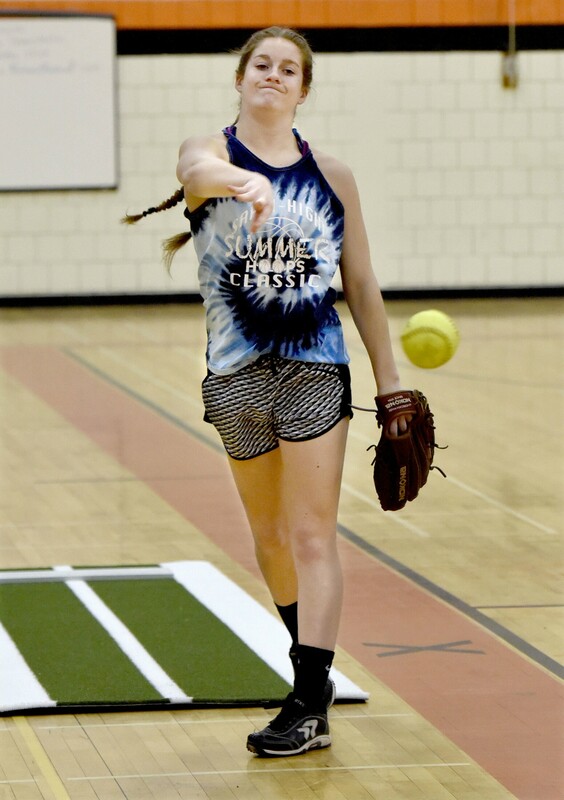 Skowhegan pitcher Sydney Ames throws a pitch Monday in the school's gym, the first day pitchers and catchers could practice. 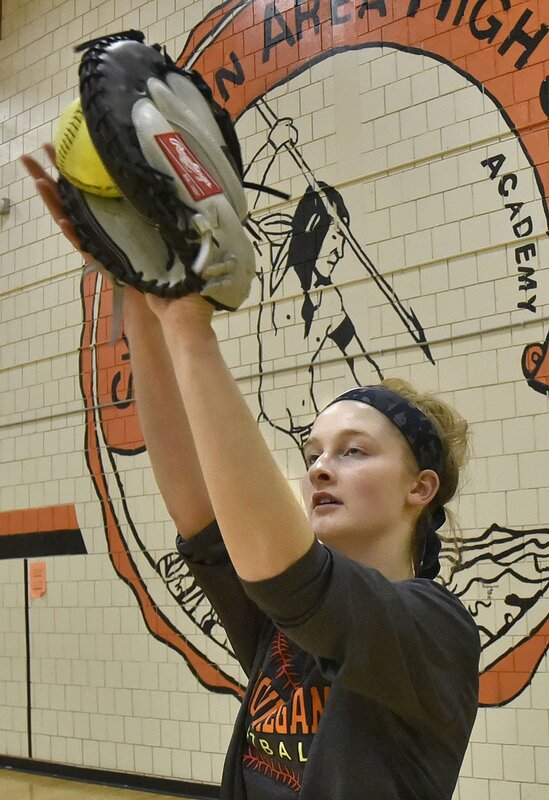 Skowhegan catcher Sydney Reed catches a ball Monday, the first day pitchers and catchers could practice. 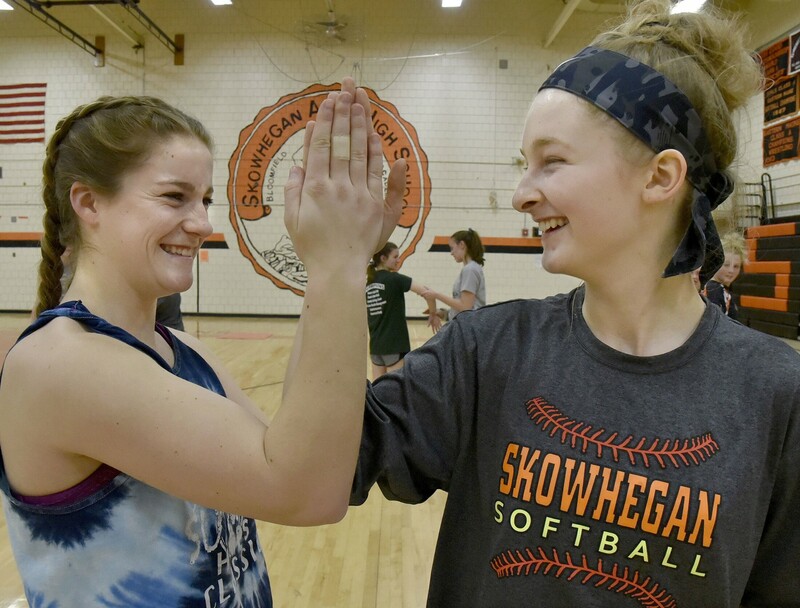 Skowhegan pitcher Sydney Ames, left, and catcher Sydney Reed share a laugh in the school's gymnasium Monday, the first day pitchers and catchers could practice. 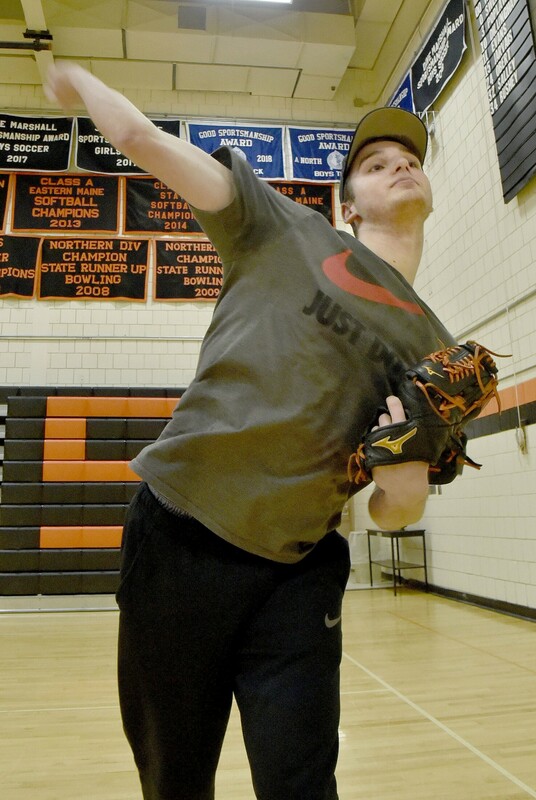 Skowhegan pitcher Kyle Kruse throws a pitch Monday in the school's gymnasium, the first day pitchers and catchers could practice. 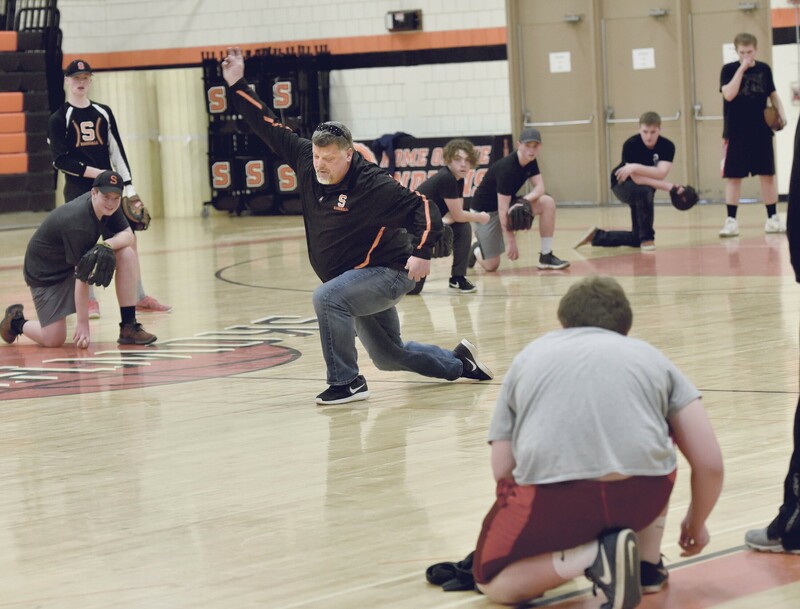 Skowhegan baseball coach Mike LeBlanc goes through drills with his pitchers and catchers Monday, the first day they could practice.